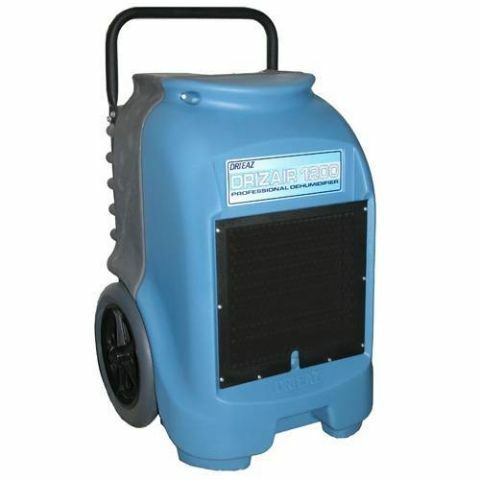 Along with floor fans and space heater rentals, dehumidifier rentals are essential pieces of rental equipment when you need to dry out wet carpets and water-damaged rooms. Dehumidifier rentals remove water vapor from the air, and used in tandem with floor fans and space heaters, can help dry soggy carpets and water-damaged rooms.The collected water leaves the unit through a drain hose orpump. DO: Set up an enclosed area. Dehumidifiers are designed to work in enclosed area. To maximize the efficiency of the unit, seal off any doors or open areas, close the windows and doors to create a sort of drying chamber. Also, limit the amount of foot traffic in the drying area.